After a summer filled with lots of sun and sports, the schools are going back and our thoughts are slowly turning to Christm… (It’s too early to actually say it but you know what we mean). 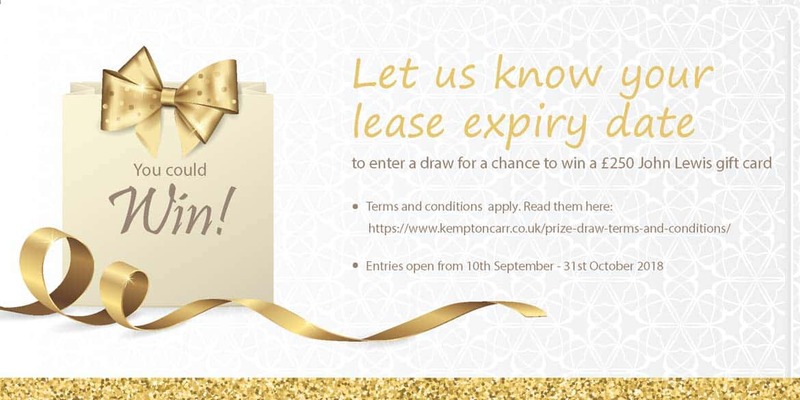 If you’re the owner, landlord or tenant of leasehold property in the UK and want to get your shopping wrapped up early, enter our prize draw for a chance to win a £250 John Lewis gift-card. All you have to do it let us know when your commercial or residential lease expires – easy! Entry is open to all UK, Isle of Man and Channel Islands residents who are a landlord, owner or tenant of commercial or residential leasehold property. Here is a link to the full terms and conditions relating to this prize draw. Ready to enter? Click here to submit your entry. Entries close on 31st October at 23.59. Good Luck! We have an experienced team of surveyors specialising in collective enfranchisment, lease extension and renewals operating throughout London, Buckinghamshire, Surrey, Hampshire, Oxfordshire and Hertfordshire. Use our contact form to get in touch with Nathan Hall, Head of General Practice.